RENO, Nev., March 22, 2019 – Samantha Amato has joined Joey Gilbert Law in the position of estate planning law, including creating trust packages, powers of attorneys, wills and probating estates. Helping people develop and personalize their trust packages and other estate planning documents. She assists trustees, administers trusts and executors navigates through the complex probate process. Consistent with the practice of Joey Gilbert Law, Samantha is a long-time volunteer at the VA and for veterans in general, helping them created documents like wills, trusts, and powers of attorney. Samantha was born and raised in Reno and moved to Southern California in 1997 where she obtained degrees at UC Santa Barbara and Western State University. After passing the California bar in 2008 and Nevada bar in 2009, Samantha moved to Italy where she interned at the internationally renowned law firm Baker and McKenzie in Rome while studying Italian and re-connecting with her family in Southern Italy. She then practiced law in Beverly Hills before moving back home to Reno in 2011, where she opened her own law firm. She attended the Gerry Spence Trial Lawyers College in the summer 2015 and was personally trained by the infamous Gerry Spence and his team. She further developed her legal skills in 2016 by attending the Trojan Horse Method in San Diego. Samantha has appeared before over ten different jurisdictions in two states, including delivering oral arguments in front of the Ninth Circuit Court of Appeals. 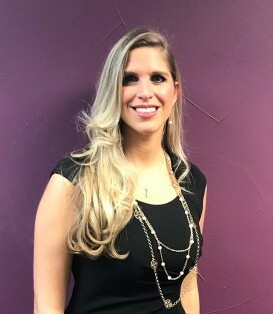 “We are thrilled to have Samantha join our fighting team and are looking forward to providing our clients with additional legal services in the areas of estate planning, wills, trusts and probates,” said attorney Joey Gilbert. For more information about Joey Gilbert Law, visit http://www.joeygilbertlaw.com. Joey Gilbert Law opened more than ten years ago with a focus in a few distinct areas of law including personal injury, DUI defense, and criminal law, workers compensation, special use, privileged license law and immigration law. Joey Gilbert and his trusted and experienced team of attorneys follow the same methods of fighting in the ring as they do in the courtroom, they fight for the rights of their clients by providing one-on-one guided and trusted support through some of life’s most challenging times. Joey Gilbert Law was recognized as top 10 attorney-client satisfaction for DUI/DWI Attorneys in 2016, and the national trial lawyers 2016 top 100 criminal defense, as well as Reno News and Reviews best local attorney in 2017. For more information, visit joeygilbertlaw.com.